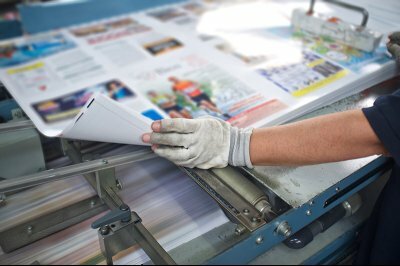 The vast majority of print jobs you’ll need to do fall under the category of Digital & Offset. At TechPro Printing, we can look over your project specifications and provide you with a number of different options to fit your specific needs and budget. We take into consideration your number of prints, size of your project, stock, and price range to determine how to best serve you and your potential customers. Offset: Images are transferred (offset) from a plate to the target where the ink is applied. Due to the plating process, offset is intended for large quantity, higher quality customizable prints. Digital: Images are transferred using lasers, static charges, and either dry toner or liquid suspended toner particles. Because there’s no plating process, this means much faster print jobs, although with less customization, smaller size, and lower quantity imaging. Let our Atlanta printing experts provide you with the services you need by calling (770) 923-6277 today!